For the third time since its creation nearly ninety years ago, one of Disney’s most notorious animated works has set sail for the uncharted waters of the public domain, but this time, it’s not slowing down. Walt Disney’s Steamboat Willie is a black and white animated film lasting only eight minutes; however, the film is the foundation of the Disney empire as it introduced the world to its favorite whistling rodent—Mickey Mouse. Steamboat Willie, and more importantly Mickey, were created in 1928 under the 1909 Copyright Act. The 1909 Copyright Act entitled the Mouse to fifty-six years of protection, which meant his copyright would expire in 1984. Despite living on borrowed time, Mickey’s popularity, and value, increased substantially. Mickey is worth billions and quickly became the face of the Walt Disney Company. Losing Mickey to the public domain would have been devastating. As a result, Disney turned its sights towards Washington, D.C. and began lobbying for new copyright legislation to save its most-cherished mascot. In 1976, Disney’s efforts—and monetary donations—proved successful as Congress extended the term of protection for copyrighted works from fifty-six years to the life of the author, plus fifty years. For those creative works that were already published, protection was lengthened to seventy-five years, which meant Mickey had once again found a safe harbor until 2003. As 2003 drew nearer, Disney had a lot more to lose. Mickey Mouse had acquired an assortment of important friends, Donald Duck, Goofy, and Pluto, who would also need protecting. Checkbook in hand, Disney made the familiar trip to Washington, D.C. With only five years left to spare, Congress once again lengthened the duration of protection for copyrighted works under the Sonny Bono Copyright Term Extension Act of 1998, affectionately dubbed by many as the Mickey Mouse Protection Act. The Act extended copyrights for works created by an individual to life of the author plus seventy years, and corporate works would now be protected for ninety-five years from the first publication or one-hundred-twenty years from the year of creation, whichever expires first. So, Mickey’s voyage to the public domain was again put on hold, this time until 2023. Disney now has only five years left until Steamboat Willie, and Mickey Mouse, make their way into the public domain. However, this time, no trip has been booked to Washington, D.C. and Disney has kept its checkbook tucked away in Mickey’s little, red shorts. From the outside looking in, it appears as if Disney is finally ready to let the inevitable happen and say “bon voyage” to Mickey as he sails off on his steamboat—but this isn’t the case at all. While Steamboat Willie will be making its way into the public domain in 2023, one very important mouse has abandoned ship and taken up residence in a more durable vessel—trademark law. Trademark law was designed to protect words, phrases, and symbols that are used to identify the source of products or services. While trademark law isn’t as all-encompassing as copyright law, which protects an entire work of artistic expression from being copied, it will protect Disney’s prize mascot, Mickey Mouse, and his gang of familiar friends. And most importantly, this protection can last in perpetuity as long as Mickey and his friends are still in use as the face of the Walt Disney Company. So if you’re waiting for that ship to come in with one very jovial, animated mouse in tow, you may be waiting a little while longer. 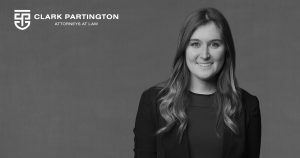 Clark Partington routinely counsels clients on protecting their intellectual property through a variety of different channels, including both trademark and copyright law, in order to maximize their rights and keep potential infringers at bay.